They are found all over North America south of the Canadian tundra, south into central Mexico. They are also found in Asia and Europe. They live along forest borders, roads, rivers and fields. They have slightly shiny, brown, wings with a row of blue spots and yellow edges. They are plain colored underneath so they can hide against tree bark. Their wingspan is up to 4" wide. 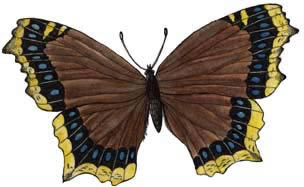 They are often seen fluttering along the ground in early summer. 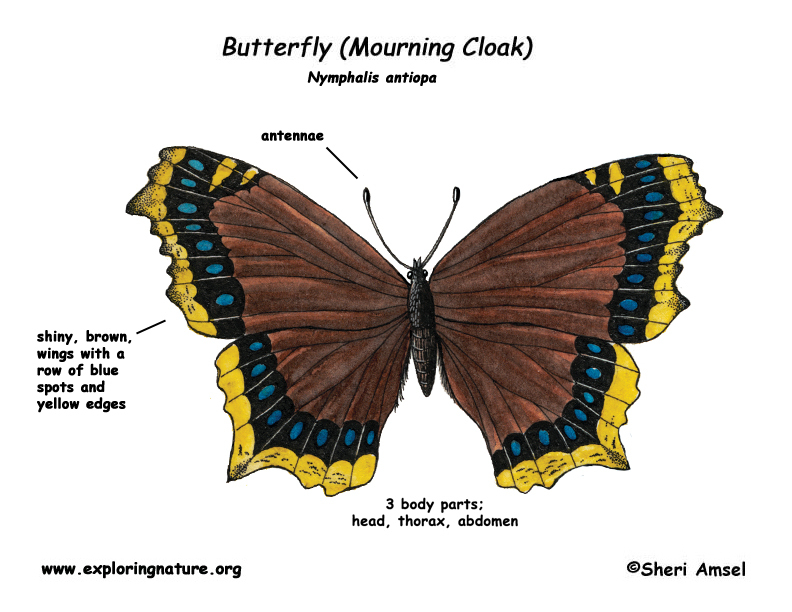 The adult butterflies can live for almost a year which is a very long time for a butterfly. Their caterpillars eat willow and poplar leaves. Adult butterflies eat tree sap. Females lay eggs around the twigs of willows and poplar trees. The caterpillars live together in a web and feed together on young leaves. They come out of their chrysalis as adults in June.